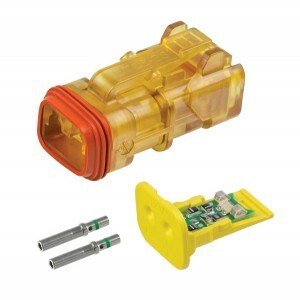 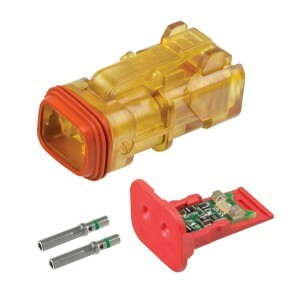 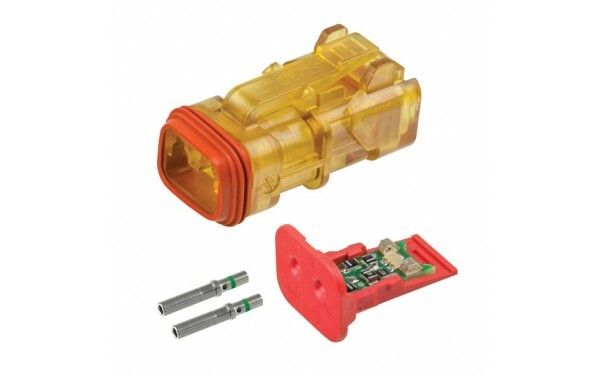 Transparent housing with integrated LED on wedgelock for quick circuit diagnosis. 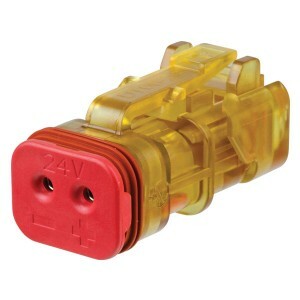 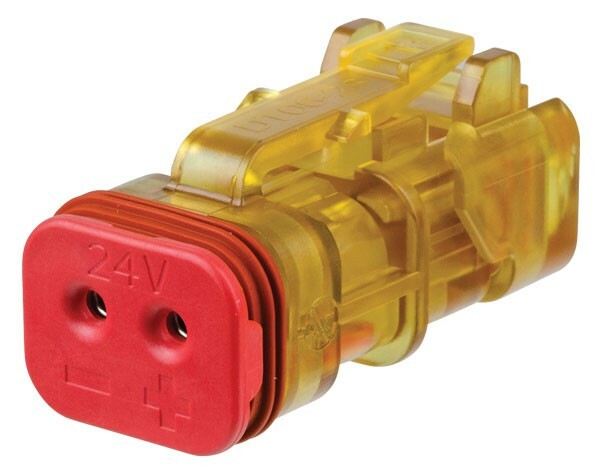 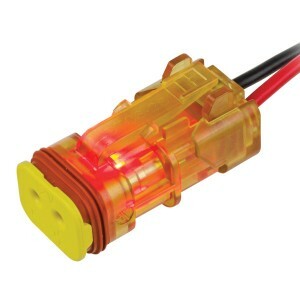 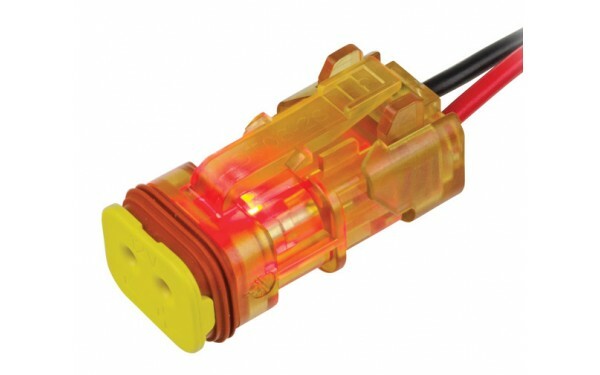 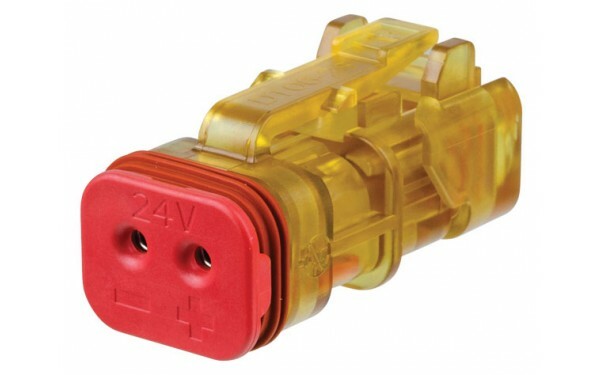 Colour coded wedgelocks for operating voltages, 12V (yellow) and 24V (red). 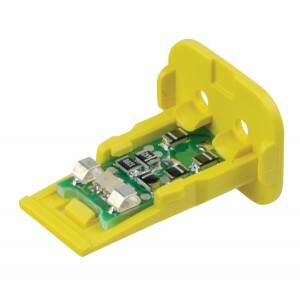 Joint retention fingers allow both contacts to be removed at the same time. 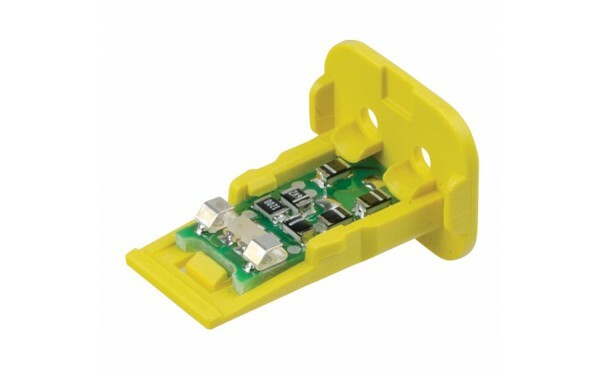 Compatible with Pulse Width Modulated control. 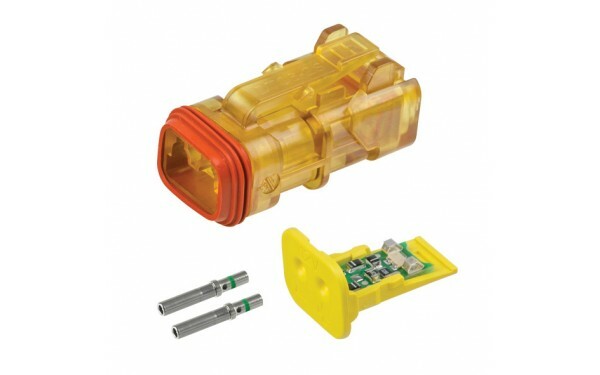 Sold as complete kit including green band contacts.